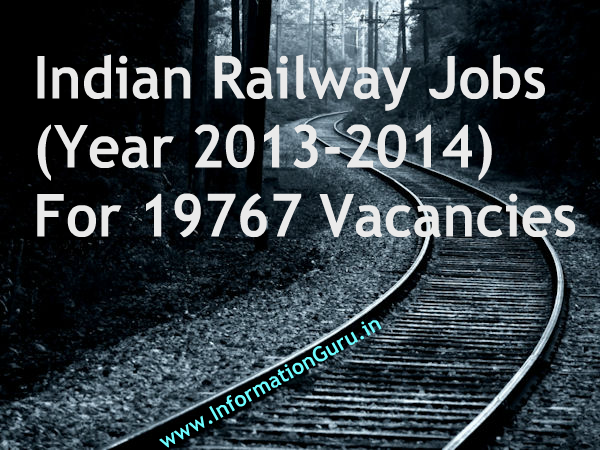 Indian Railway Recruitment Board is fully controlled and managed by Government of India under Ministry of Railways. The Indian Railway recruitment board presents different posts & vacancies through straight recruitment and competitive examinations every year. 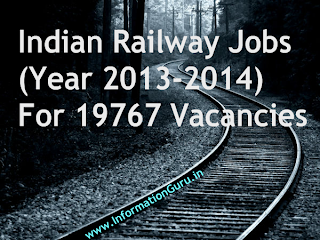 Railway Recruitment Posts: Gazetted (Group 'A' and 'B') and Non-gazetted (Group 'C' and 'D'). C. 19 RRBs to recruit Group C and D posts. Group 'C' Posts - Technical and Non-Technical cadre posts like Clerk, Station Masterm Ticket Collector, Commercial Apprentice, Traffic Apprentice, Engineering posts (Civil, Mechanical, Electrical, Signal & Telecommunication) etc. Group 'D' Posts - These posts in various disciplines include Trackman, Helper, Assistant Points Man, Safaiwala, Ganman, Peon etc. Group C & D Qualifications: Minimum 10th class pass or ITI or equivalent trade. Group D - Helper, Trackman, Porter, Safaiwala, Peon etc.